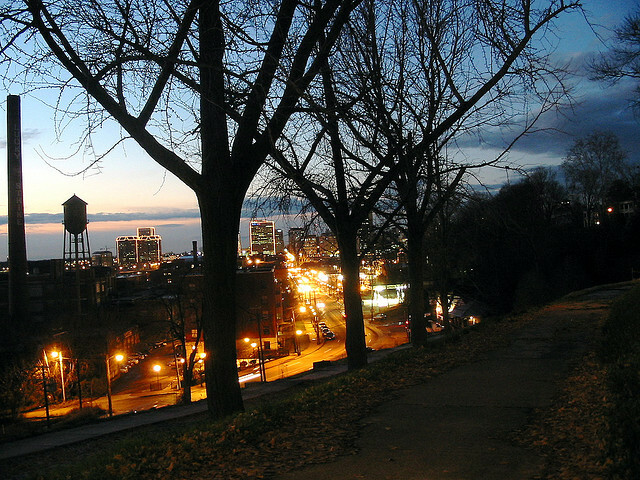 I am a Candidate for Master of Urban and Regional Planning at VCU studying the historic views from Church Hill’s Libby Hill Park in Richmond and the economic impact they may have on the surrounding neighborhood and the city. I also hope to learn about potential effects current and future development in the area may have on those impacts. I plan to share my results to inform the contributions the Association and its members may make to the Richmond 300 City Master Planning Process and other important planning and development processes in the city. Thank you for taking the time to complete this survey. If you have any questions/comments/concerns please feel free to reach out to me directly at mcnamarac@vcu.edu. Would be awesome to see hypothetical/computer generated renderings of the proposed view shed impacts to assist with the discussion. What happened to the $5000.00 given to a “committee” from the Church Hill Association to protect the Libby Hill view shed from development? The $5000.00 has never been accounted for. The current master plan is pretty clear on how to treat the river and our historic view sheds in Church Hill. Not every neighborhood of Richmond needs to be zoned for skyscrapers especially blocking the view from Libby Hill. Despite assertions to the contrary no proffered or deeded conditions on preserving the view have been placed on any of the proposed projects. And while administrations, positions and attitudes change at City Hall it is this view that has endured. The radical view that this neighborhood is some how just the same as any other and development of the Libby Hill view shed area into high rise office and apartment buildings is some how progress is absurd. Remembering our shared past and preserving history is more important. Desecration of historic and cultural sites is a way to destroy our identity. Anyone think it isn’t being done deliberately? Richmond on the Thames in Tottenham England has well documented reasons for preserving their historic view shed from Richmond Hill. As our sister city we should take a page from their experience, guidance and expertise.